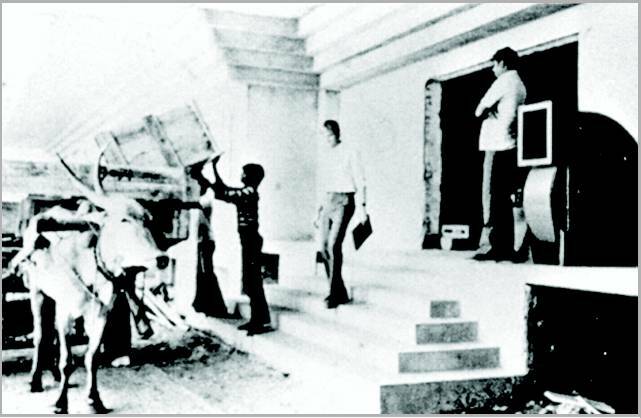 I recently stumbled on few news articles which showed interesting facets of the India’s IT revolution and in both of them Bullock Carts seemed to have played an important role. 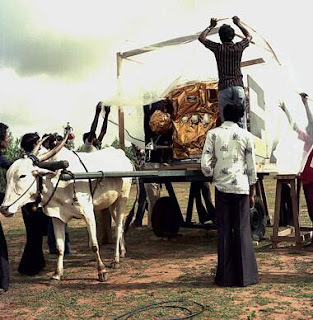 The first one goes back to June 19, 1981 , when ISRO launched its first communication satellite, Ariane Passenger PayLoad Experiment (Apple). The Satellite was transported on a bullock cart which was captured in the photograph below. The colors in the photograph may have been added later on. The second one goes back to 1985 when Bangalore was still known as the Garden City and not yet taken its step towards transforming itself as the Silicon Valley of India. Texas Instruments ( TI is based out of Dallas, Texas) decided to make India as one of the centers for chip design facility. TI used bullock carts to transfer its equipment on bullock carts. The picture below shows Bangalore taking is first step towards ushering an IT revolution in India.